Successful management of articular cartilage lesions starts with a thorough examination emphasizing patient history, range of motion limitations, and an understanding of underlying anatomy and biomechanics. Rehabilitation of articular cartilage lesions presents a unique challenge to the clinician. Given a limited capacity for healing and the lack of sensory input from articular cartilage, clinicians face a more complex rehabilitation model than commonly utilized with other soft tissue structures. 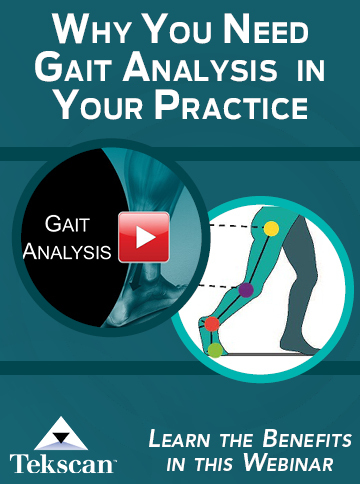 Although symptoms provide a baseline for evaluation, a greater understanding of articular cartilage anatomy and biomechanics is necessary when designing and implementing a comprehensive rehabilitation program for these lesions. An understanding of articular cartilage anatomy and biomechanics is helpful in developing the principles of rehabilitation. Articular cartilage has a diverse structure, allowing it to withstand considerable force. 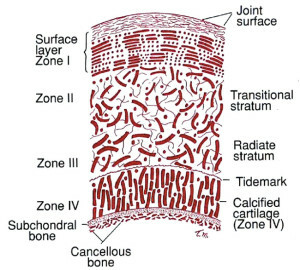 Many authors have divided articular cartilage into zones based upon the unique characteristics within each area.1-4 The matrix of each zone has varying amounts of collagen, ground substance, and water. Generally collagen provides strength, ground substance provides durability, and water gives the articular cartilage flexibility. Both collagen and ground substance are produced by chondrocytes. Since chondrocytes are not able to reproduce, the healing capacity of articular cartilage is limited. When injury occurs, and chondrocytes die, the cartilage is unable to maintain necessary levels of collagen and ground substance. 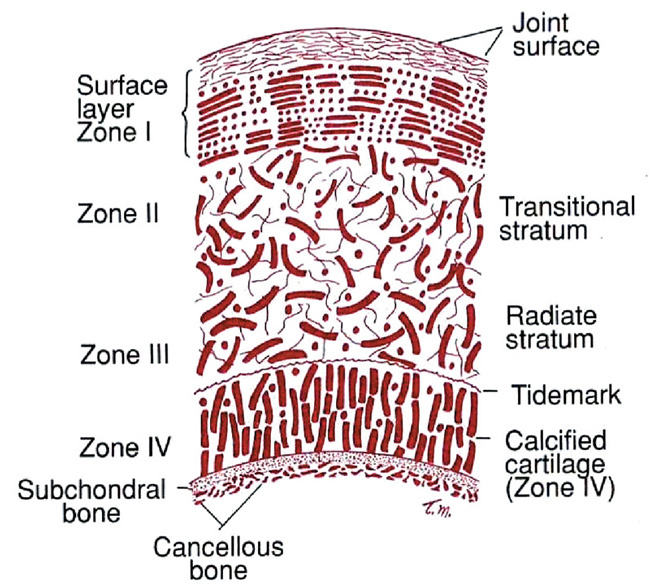 The collagen arrangement in zone one is parallel to the joint surface. 2 Therefore at the joint surface, when joint compressive forces occur, collagen becomes attenuated. Since collagen adapts well to stretching and is able to withstand large tension loads, this arrangement is optimal for distribution of joint compressive loads. As discussed earlier, joint compressive loading is assisted by water. With joint motion, water is moved within the articular cartilage matrix. History. Evaluation of articular cartilage lesions requires the clinician to be alert to signs and symptoms of joint pathology. Of particular importance are joint symptoms, including swelling and effusion, temperature change, and mechanical symptoms such as crepitus, “giving way,” and “catching.”30,31 Patient complaints of joint pain or periarticular pain are valuable to the clinician, and should be focused upon. Commonly patients will complain of aching in joints after static loading (standing), or during/after periods of inactivity. Stiffness, particularly after periods of rest, is also quite common.32 Previous history of joint injury, including surgery, should be probed carefully. Normally a younger person does not complain of joint symptoms without a history of trauma or surgery. Likewise, it is easier to make a determination of articular cartilage injury in older athletes if a relationship has been established with a previous joint injury. A first step in understanding treatment is knowledge of what may cause pathology. There are multiple factors that cause articular cartilage injury. Joint trauma, weight, age, gender, occupational activity, nonoccupational activity, bone mineral density, postmenopausal replacement therapy, congenital abnormalities, and genetic factors have been identified as possible risk factors for articular cartilage injury.19,21,22,32,33,38 A review of other primary risk factors for articular cartilage lesions follows. Joints with irregularly shaped articular surfaces appear to be more likely to become injured.12 Incongruent joints are loaded asymmetrically, resulting in an uneven wearing pattern. A good example of this is the patellofemoral joint. The opposing joint surfaces in the patellofemoral joint do not match leading to portions of the joint surface receiving higher loads. 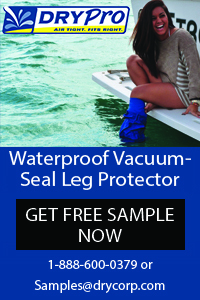 Joint surfaces that receive higher loads are more likely to have surface wear leading to injury. Therefore secondary to poor joint congruency the patellofemoral joint is more likely to sustain surface wear, and osteoarthritis. At least one author has identified the patellofemoral joint to be at higher risk for osteoarthritis.54 Although joint surface irregularity is not modifiable, an understanding of this risk factor can assist the rehabilitation clinician. A reduction in repetitive motion activities is warranted when a patient has irregular joint surfaces. Examination of joints with articular cartilage lesions is more complex than examination of other soft tissue structures. An understanding of the anatomy, biomechanics, and mechanisms of failure assists the clinician in determining how to approach these lesions. Examination involves the same procedures as other soft tissues, but the clinician must learn to rely on history and range of motion impairments when these lesions are present. Walter L. Jenkins PT, DHS, ATC, is associate professor and interim chair of the department of physical therapy at East Carolina University in Greenville, NC. 1. Cohen NP, Foster RJ, Mow VC. Composition and dynamics of articular cartilage: structure, function, and maintaining healthy state. J Ortho Sports Phys Ther 1998;28(4):203-215. 2. Mow VC, Lai WM. Some surface characteristics of articular cartilage. A scanning electron microscopy study and a theoretical model for the dynamic interaction of synovial fluid and articular cartilage. J Biomech 1974;7(5):449-456. 3. Mow VC, Ratcliffe A. Structure and function of articular cartilage and meniscus. In: Mow VC, Hayes WE, eds. Basic orthopaedic biomechanics. 2nd ed. Philadelphia: Lippincott-Raven; 1997:113-177. 4. Walker JM. Cartilage of human joints and related structures. In: Zachazewski JW, Magee DJ, Quillen WS, eds. Athletic injuries and rehabilitation. Philadelphia: WB Saunders; 1996. 5. Flik KR, Verma N, Cole BJ, Bach BR. Articular cartilage; structure, biology, and function. In: Williams RJ III, ed. Cartilage repair strategies. Totowa, NJ: Humana Press; 2007:1-12. 6. Langworthy MJ, Nelson FRT, Coutts RD. Basic science. In: Cole BJ, Malek MM, eds. Articular cartilage lesions: A practical guide to assessment and treatment. New York: Springer-Verlag; 2004:3-12. 7. Poole AR. Cartilage in health and disease. In: McCarthy DJ, Koopman WJ, eds. Arthritis and allied conditions. 12th ed. Philadelphia: Lea and Febiger; 1993: 279-333. 8. Curwin S. Joint structure and function. In: Levangie PK, Norkin CC, eds. Joint structure and function: a comprehensive analysis. 3rd ed. Philadelphia: FA Davis; 2005: 70-112. 9. Schwartz MA, Ciccotti MG. Structure and function of cartilage biology. In: Mirzayan R, ed. Cartilage injury in the athlete. New York: Thieme; 2006: 3-9. 10. 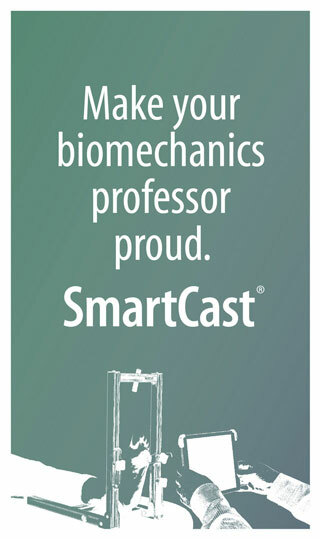 Mow VC, Hung CT. Biomechanics of articular cartilage. In: Nordin M and Frankel VH, ed. Basic biomechanics of the locomotor system. 3rd ed. Philadelphia: Lippincott Williams & Wilkins; 2001: 61-100. 12. Shrive NG, Frank CB. Articular cartilage. In: Nigg BM, Herzog W, eds. Biomechanics of the musculo-skeletal system. Chichester: John Wiley and Sons; 1994: 79-105. 13. Kempson G. Mechanical properties of articular cartilage and their relationship to matrix degradation and age. Ann Rheum Dis 1975;34(suppl 2):111-113. 14. Roth V, Mow VC. The intrinsic tensile behavior of the matrix of bovine articular cartilage and its variation with age. J Bone Joint Surg Am 1980;62(7):1102-1117. 15. Schmidt MB, Schoonbeck JM, Mow VC, et al. Effect of enzymatic extraction of proteoglycans on the tensile properties of articular cartilage. Trans Orthop Res Soc 1986;11:450. 16. Wong M, Wuethrich P, Buschmann M. Chondrocyte biosynthesis correlates with local tissue strain in statically compressed adult articular cartilage. J Orthop Res 1997;15(2):189-196. 17. Butler RJ, Marchesi S, Royer T, Davis IS. The effect of a subject-specific amount of lateral wedge on knee mechanics in patients with medial knee osteoarthritis. J Ortho Res 2007;25(9):1121-1127. 18. Redler I, Mow VC, Zimny ML, Mansell J. The ultrastructure and biomechanical significance of the tidemark of articular cartilage. Clin Orthop Relat Res 1975;(112):357-362. 19. Iobst C, Kocher MS. Cartilage injury in the skeletally immature In: Mirzayan R, ed. Cartilage injury in the athlete. New York: Thieme; 2006: 134-145. 20. Kocher MS, Tucker R, Ganley TJ, Flynn JM. Management of osteochondritis dissecans of the knee. Am J Sports Med 2006;34(7):1181-1191. 21. Micheli LJ, McCarty LP III. Osteochondritis dissecans: current treatment options. In: Cole BJ, Malek MM, eds. Articular cartilage lesions: a practical guide to assessment and treatment. New York: Springer-Verlag; 2004: 119-139. 22. Wall E, Von Stein D. Juvenile osteochondritis dissecans. Orthop Clin North Am 2003;34(3):341-353. 23. Costa-Paz M, Muscolo DL, Ayerza M, et al. Magnetic resonance imaging follow-up study of bone bruises associated with anterior cruciate ligament ruptures. Arthroscopy 2001;17(5):445-449. 24. Faber KJ, Dill JR, Amendola A, et al. Occult osteochondral lesions after anterior cruciate ligament rupture: six-year magnetic resonance imaging follow-up study. Am J Sports Med 1999;27(4):489-494. 25. Graf BK, Cook DA, De Smet AA, Keene JS. “Bone bruises” on magnetic resonance imaging evaluation of anterior cruciate ligament injuries. Am J Sports Med 1993;21(2):220-223. 26. Johnson DL, Urban WP Jr, Caborn DN, et al. Articular cartilage changes seen with magnetic resonance imaging-detected bone bruises associated with acute anterior cruciate ligament ruptures. Am J Sports Med 1998;26(3):409-414. 27. Mathis CE, Noonan K, Kayes K. “Bone bruises” of the knee: a review. Iowa Orthop J 1998;18:112-117. 28. Nawata K, Teshima R, Suzuki T. Osseous lesions associate with anterior cruciate ligament injuries: assessment by magnetic resonance imaging at various periods after injuries. Arch Orthop Trauma Surg 1993;113(1):1-4. 29. Rosen MA, Jackson DW, Berger PE. Occult osseous lesions documented by magnetic resonance imaging associate with anterior cruciate ligament ruptures. Arthroscopy 1991;7(1):45-51. 30. Magee DJ. Orthopaedic physical assessment. 4th ed. Philadelphia: Saunders; 2004. 31. Tomberlin JP, Saunders HD, eds. Evaluation, treatment and prevention of musculoskeletal disorders. 3rd ed. Chaska, MN: Saunders Group; 1994. 32. Sharma L, Kapoor D. Epidemiology of osteoarthritis. In: Moskowitz RW, Howell DS, Altman RD, et al, eds. Osteoarthritis. 3rd ed. Philadelphia: WB Saunders; 2001: 3-26. 33. Felson DT, Naimark A, Anderson J, et al. The prevalence of knee osteoarthritis in the elderly: the Framingham osteoarthritis study. Arthritis Rheum 1987;30(8):914-918. 34. Hamerman D. Clinical implications of osteoarthritis and aging. Ann Rheum Dis 1995;54(2):82-85. 35. Sharma L, Dunlop DD, Cahue S, et al. Quadriceps strength and osteoarthritis progression in malaligned and lax knees. Ann Intern Med 2003;138(8):613-619. 36. Goodman CC, Boissonnault WG, Fuller KS. Pathology: implications for the physical therapist. 2nd ed. Philadelphia: WB Saunders; 2003. 37. Goodman CC, Snyder TEK. Differential diagnosis in physical therapy. 3rd ed. Philadelphia: WB Saunders; 2000. 38. Hough AJ Jr. Pathology of osteoarthritis. In: Koopman WJ, Moreland LW, eds. Arthritis and allied conditions: a textbook of rheumatology. 15th ed. Philadelphia: Lippincott Williams & Wilkins; 2005: 2169-2197. 39. Minor M. Exercise in the treatment of osteoarthritis. Rheum Dis Clinic North Am 1999;25(2):397-415. 40. Ritter MA, Stringer EA. Predictive range of motion after total knee replacement. Clin Orthop Relat Res 1979;(143):115-119. 41. Vad V, Hong HM, Zazzali M, et al. Exercise recommendations in athletes with early osteoarthritis of the knee. Sport Med 2002;32(11):729-739. 42. DeAndrade JR, Grant C, Dixon AS. Joint distention and reflex muscle inhibition in the knee. J Bone Joint Surg Am 1965;47:313-322. 43. Spencer JD, Hayes KC, Alexander IJ. Knee joint effusion and quadriceps reflex inhibition in man. Arch Phys Med Rehabil 1984;65(4):171-177. 44. Stratford P. Electromyography of the quadriceps femoris muscles in subjects with normal knees and acutely effused knees. Phys Ther 1981;62(3):279-283. 46. Davies GJ. A compendium of isokinetics in clinical usage and rehabilitation techniques. 3rd ed. Onalaska, WI: S & S Publishers; 1987. 47. Perrin DH. Isokinetic exercise and assessment. Champaign, IL: Human Kinetics; 1993. 48. Gur H, Cakin N. Muscle mass, isokinetic torque, and functional capacity in women with osteoarthritis of the knee. Arch Phys Med Rehabil 2003;84(10):1534-1541. 49. Wessel J. Isometric strength measurements of knee extensors in women with osteoarthritis of the knee. J Rheumatol 1996;23(2):328-331. 50. Hortobagyi T, Westerkamp L, Beam S, et al. Altered hamstring-quadriceps muscle balance in patients with knee osteoarthritis. Clin Biomech 2005;20(1):97-104. 51. Paterno MV, Ford KR, Myer GD, et al. Limb asymmetries in landing and jumping 2 years following anterior cruciate ligament reconstruction. Clin J Sports Med 2007;17(4):258-262. 52. Lewek MD, Rudolph KS, Snyder-Mackler L. Control of frontal plane knee laxity during gait in patients with medial compartment knee osteoarthritis. Osteoarthritis Cartilage 2004;12(9):745-751. 53. Sim FH, Frassica FJ, Merkel KD, Chao EYS. Osteoarthritis of the knee: role of knee ligaments in osteotomies and total knee arthroplasty. In: Feagin JA, Applewhite LB, eds. The crucial ligaments. New York: Churchill Livingstone; 1988. 54. Fulkerson JP. Disorders of the patellofemoral joint. 3rd ed. Baltimore: Williams & Wilkins; 1997. 55. Greenwald AS, O’Connor JJ. The transmission of load through the human hip joint. J Biomech 1971;4(6):507-528. 56. Felson DT, Anderson JJ, Naimark A, et al. Obesity and knee osteoarthritis: the Framingham study. Ann Intern Med 1988;109(1):18-24. 57. Buckwalter JA, Lane NE. Aging sports, and osteoarthritis. Sports Med Arthrosc Rev 1996;4(3):276-287. 58. Croft P, Coggon D, Cruddas M, Cooper C. Osteoarthritis of the hip: an occupational disease in farmers. BMJ 1992;304(6837):1269-1272. 59. Felson D. The epidemiology of osteoarthritis: prevalence and risk factors. In: Keuttner KE, Goldberg VM, eds. Osteoarthritic disorders. Rosemont, IL: American Academy of Orthopaedic Surgeons; 1995:13-24.